Robert Pete Williams (March 14, 1914 ? December 31, 1980) was an American blues musician, based in Louisiana. His music characteristically employs unconventional blues tunings and structures, and his songs are often about the time he served in prison. His song "I've Grown So Ugly" was covered by Captain Beefheart, on his album Safe as Milk (1967), whose version was later covered by The Black Keys, on Rubber Factory (2004). Williams was born in Zachary, Louisiana to sharecropping parents, and lived around the Baton Rouge area throughout his life. He was discovered in Angola prison, by ethnomusicologists Dr Harry Oster and Richard Allen, where he was serving a life sentence for shooting a man dead in a local club in 1956, an act which he claimed was in self-defense. Oster and Allen recorded Williams performing several of his songs about life in prison and pleaded for him to be pardonned. The pardon was partially granted in 1959, when Williams was released, although he could not leave Louisiana until he received a full pardon 1964. By this time, Williams' music had achieved some favorable word-of-mouth reviews, and he played his first concert outside Louisiana at that year's Newport Folk Festival. 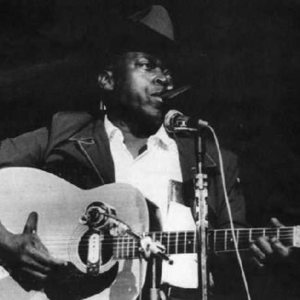 Williams went on to tour the United States, and played a number of shows with Mississippi Fred McDowell. He continued to play concerts and festivals into the late-1970s when his health began to decline. Williams died in Rosedale, Louisiana on December 31, 1980, at the age of 66.